Celebrate the release of The Complete Peanuts Family Album with me at the Charles M. Schulz Museum and Research Center on Sunday, November 12, 2017, from 1:00-5:00pm! Like so many of us, I grew up on Peanuts and writing this book was a labor of love. 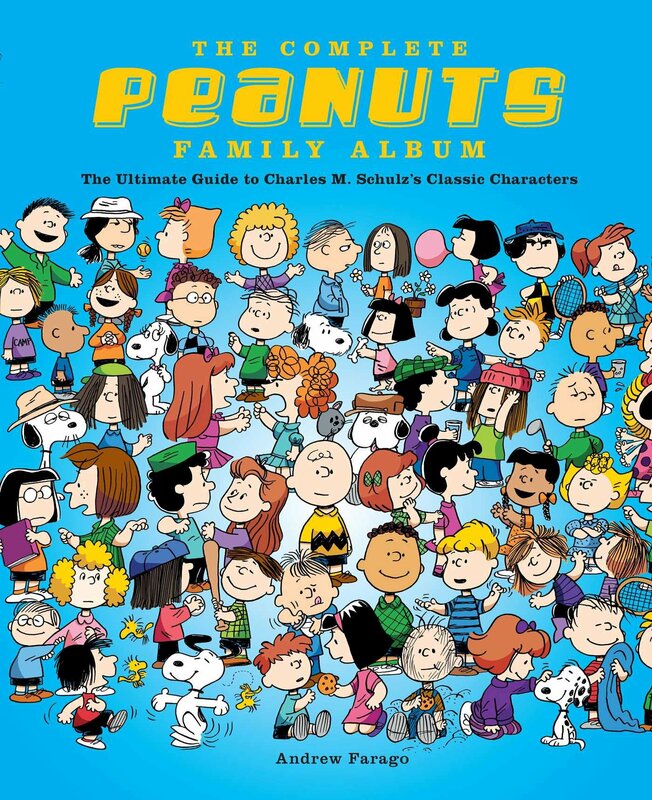 It’s a fun reference book covering every character from Charles Schulz’s classic comic strip. Charlie Brown, Snoopy, Linus, Lucy, and…Floyd? Maynard? Truffles? 5? They’re all here! Hope to see you in Santa Rosa this weekend! Please join me at the Charles M. Schulz Museum on Sunday, November 12 to celebrate the release of The Complete Peanuts Family Album! I’ll be there all afternoon to talk about my favorite obscure characters, sign books, and quaff a few root beers with Bill Mauldin. Admission that day is free, so don’t miss out! I’ll also be there in a few weeks to do some advance promotion of the book as part of the Schulz Museum’s 15th anniversary festivities on August 12! Hope to see you there! Cover art for The Complete Peanuts Family Album has been revealed! This is a guide to every kid who ever appeared in Peanuts, plus some who didn’t! I’ll make an announcement about the introduction soon. One of my comic strip heroes is on board for that–stay tuned!